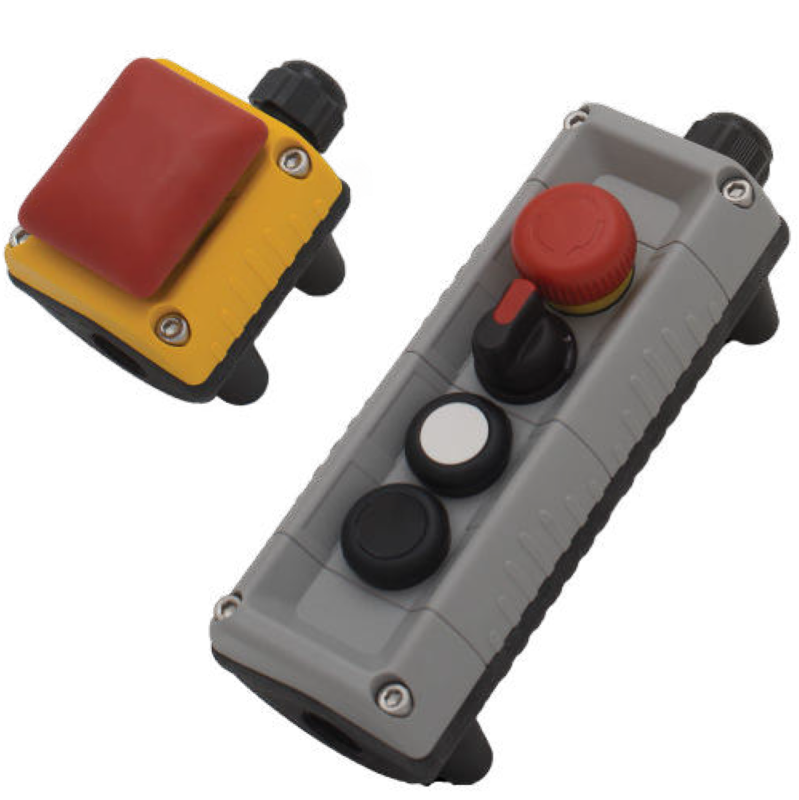 Springer Controls offers a variety of options in regards to push-button control stations. 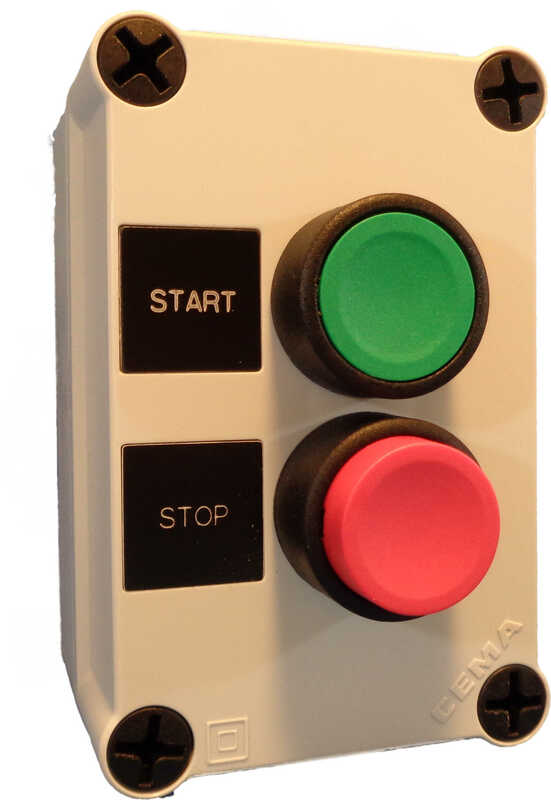 Custom assembled push button stations are available from 1 operator to 8 operator controls. Controls are available with either 22 mm or 30 mm control operators, in polycarbonate, mild steel or stainless-steel enclosures. • Large selection of 22 mm or 30 mm operators including push buttons, selector switches, pilot lights, mushroom head push buttons, keyed selector switches, joysticks. Large variety of colors available. • Polycarbonate, metal or stainless steel enclosures available from 1 hole to 8 hole. • Standard 1 button – 3 button assembled units in stock and available for immediate shipment. The economical N5 push button station is stocked in 1, 2, and 3 button sizes. The N5 uses 22mm buttons, selectors, and pilots, in a NEMA 4X polycarbonate enclosure. Base mounted contacts allow for cleaner wiring and easy cover removal. The Victor pushbutton station provides a sleek, custom-made look with plenty of options available. We stock 1, 2, 4, 6 and 8 button enclosures and a huge variety of buttons and switches and can build to order same day or next day. The Victor has base mounted contacts to provide cleaner wiring and easy cover removal. The N7 push button station is stocked in parts for immediate assembly to suit your requirements. 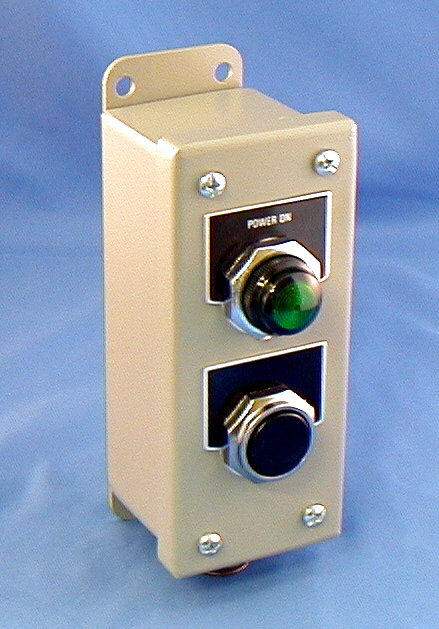 The N7 uses 30mm pushbuttons in a NEMA 4X polycarbonate enclosure. We offer the N7 in 1, 2, 3 and 4 button sizes.